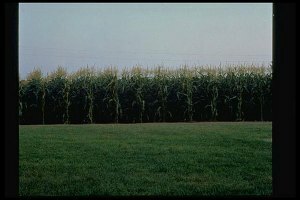 The original field from "Field of Dreams" starring Kevin Costner, who just won Best Actor for the Hatfields & McCoys TV mini series. "Field of Dreams" is available on DVD. I was sleeping last night until a sudden pop jarred me out of Dream land. It sounded kind of like a 95 mile an hour fast ball colliding with a rugged old Louisville Slugger baseball bat. I looked up to see a ghostly looking young man in an old Chicago White Six uniform. I looked down and noticed that he wasn't wearing any shoes. "That would be me," Joe answered. "Build it and they will come." "Build what? A baseball field like in Field Of Dreams?" I wondered. "No, you watch too many movies. A new Baseball Hall of Fame", Joe said. "But we have one in Cooperstown, New York." Joe sighed, "but the best players aren't in there. Besides, this is America, the home of capitalism. Competition is as American as baseball and apple pie." "Hmmm", I pondered. "A generic Baseball Hall of Fame?" "Generic?" Joe stammered. "Our players are better. They hold most of the records. We base on talent not behavior." "I see what you mean," I agreed. "It's getting to the point that 3000 hits don't mean anything if you can't pass a background check". "Background check? There aunt no background checks in baseball", Joe said doing his best Tom Hanks imitation. I began to get excited, "Pete Rose! Got ta have Pete. He was Rocky before Rocky. He wasn't the biggest,fastest, or strongest or fastest but he came at you until he beat you." "Like I said earlier, you watch too many movies, I'm dead and even I know Rocky was boxing. Yes, of course, Pete, he is the hit leader". "Yes they wouldn't let him in because they said he was a gambler." "Gambler? Even I know that's just a Kenny Roger's song. Because you gamble doesn't mean you can't play baseball," Joe stated. "Barry Bonds is the home run leader. And with Sosa and McQuire they made baseball our national pasttime again for a while", I gushed. "I talked to Ty Cobb," Joe said. "He wants in our hall. He said he don't want to hang out with sissies he wants in with real mean. He said baseball is dirt, sweat, and grit. I drank a few with the Babe in baseball Heaven. You know, just because he's in Heaven, doesn't make him an angel. He's thinking about it, its just depends on how many female visitors we get ". I spent countless hours in the hot sun trying play hard and hustle like Pete Rose and now baseball acts like none of Pete's over 4000 hits happened, or even worse, that they never matter. Silly,Major League Baseball, the Hall's not for the players....it's for the fans. Let Pete Rose dive head first forever in our dreams... And in Cooperstown.